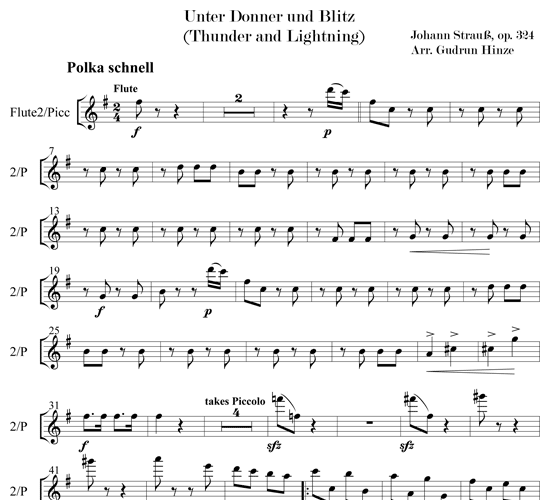 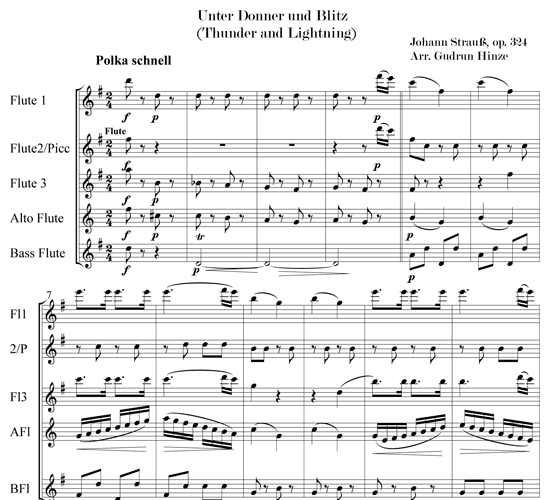 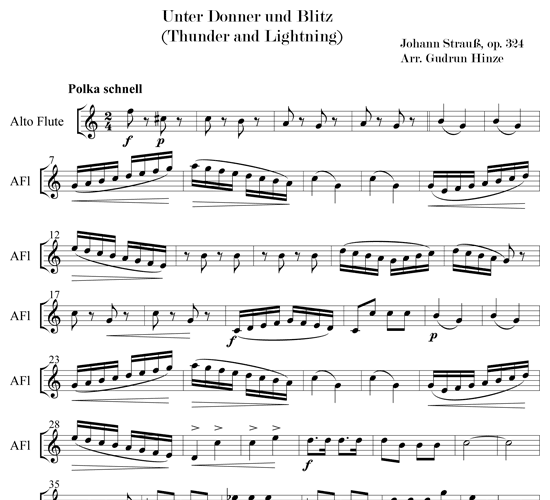 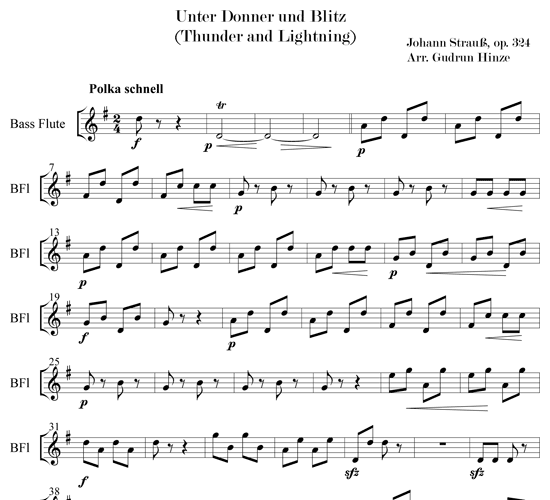 The rolling thunder of the bass and alto flutes and the lightning flashes of the piccolo describe a “thunderstorm” in a noble living room of 19th century Old Europe. 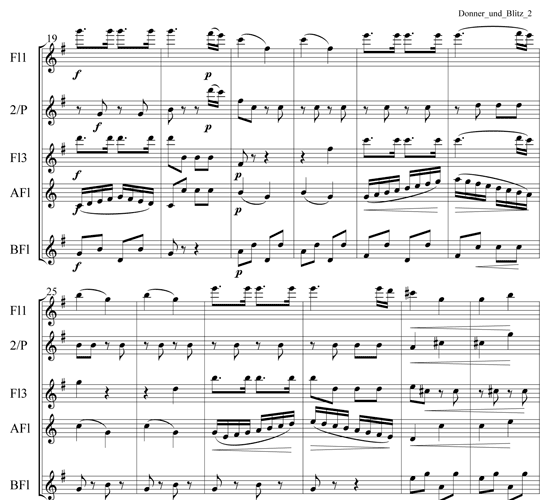 This delightful arrangement is pure fun for all five flutists in the ensemble and makes a lively encore. 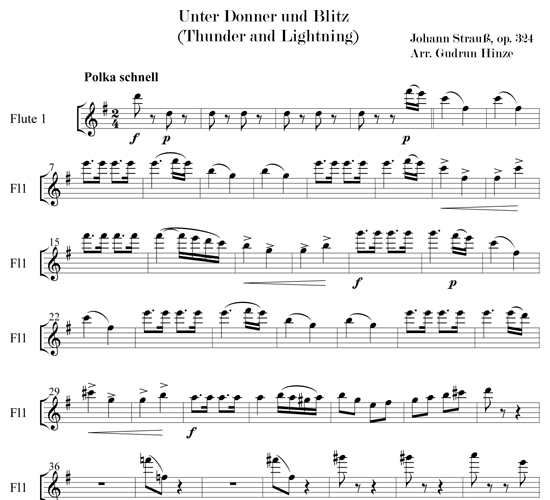 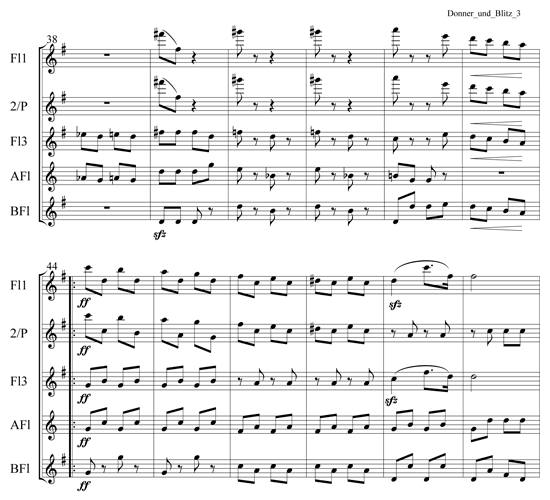 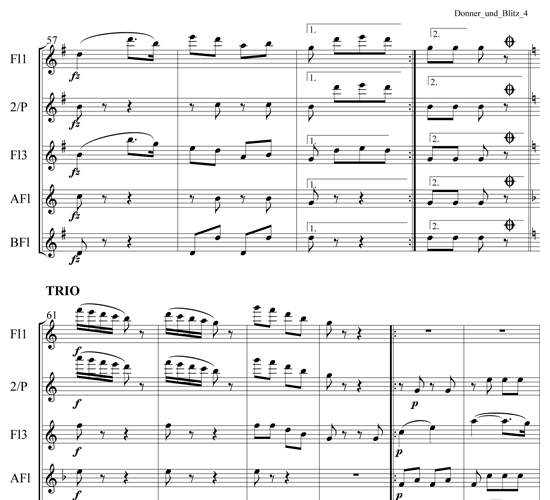 This arrangement received an honorable mention in the National Flute Association‘s 2014 Newly Published Music competition. 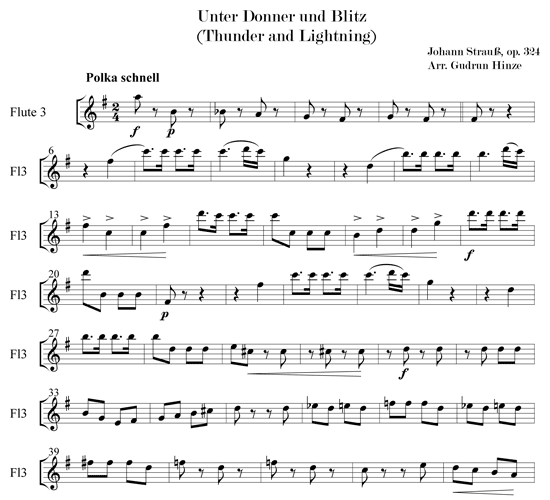 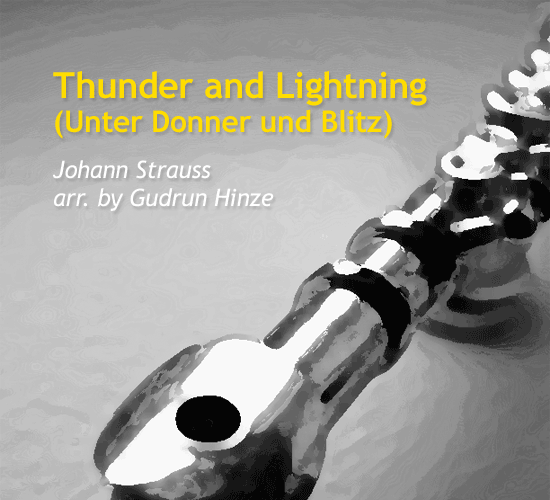 /wp-content/uploads/2013/12/mp3-thunder-and-lightning-by-gudrun-hinze.mp3Performed by the Quintessenz ensemble.